Download SSC CGL Admit Card 2015, SSC CGL Tier 1 exam admit card/ call letter- Staff Selection Commission is going to conduct Combined Graduate Level (CGL) 2015 Tier 1 exam on 09 & 16 August 2015. All Candidates can download thier SSC CGL Admit Card 2015, SSC CGL Tier 1 Admit Card / Call letter online. The official notification of SSC CGL (Tier 1) exam was released on 2nd May 2015. Lakhs of candidates have applied for the SSC CGL Tier 1 exam is scheduled on 9th and 16th August 2015. SSC will upload admit card on its regional website. So those candidates who have applied for this exam can download their SSC CGL 2015 Tier 1 Admit Card form the official site. We also provide direcrt link to download admit card. Staff Selection Commission (SSC) is going to conduct Combined Graduate Level 2015 Tier 1 test. SSC will be actived download link in official site www.ssc.nic.in or www.ssconline.nic.in. SSC will be dispatched call letter to all applicant before two week of exam. In case any candidates are not receiving SSC CGL admit card before exam, they can download duplicate SSC CGL Tier 1 hall ticket usinh SSC portal. Important Note: SSC Central Region, Madhya Pradesh Region, North-west Region and Eastern Region admit card has been available now. Other Region admit card will be published on various date in July 2015. SSC CGL 2015 Admit card for Tier 1 exam can be downloaded from below given Regional website links. Candidates must enter your application ID number and date of birth. A large number of students are applied for SSC CGL 2015 through online registration. Now they all applicant are follow below step to get duplicate call letter 2015. Visit Regional wise site portal link given below. Find admit card download link. Enter your registration number, application ID and Password. 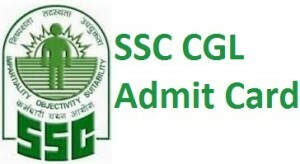 Click on download button and take print out of SSC CGL Tier 1 Admit card 2015.